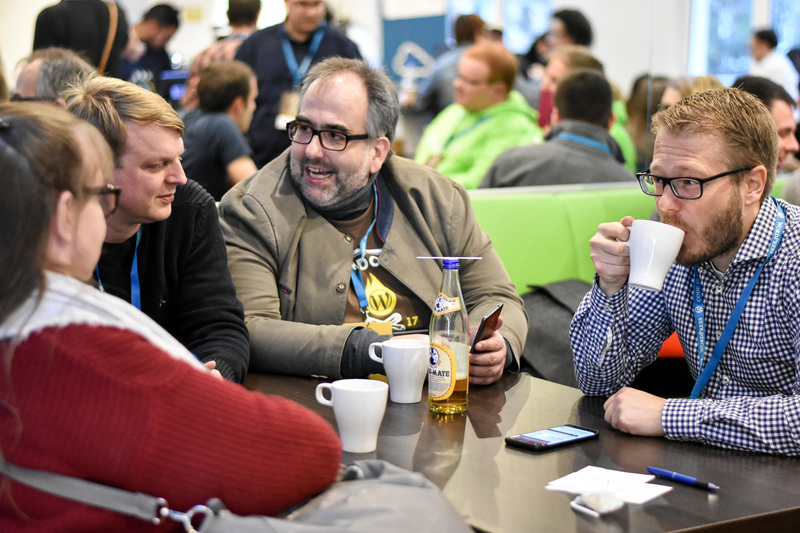 WordCamp Cologne was one of the biggest WordCamps in Germany for the year with 250 attendees. 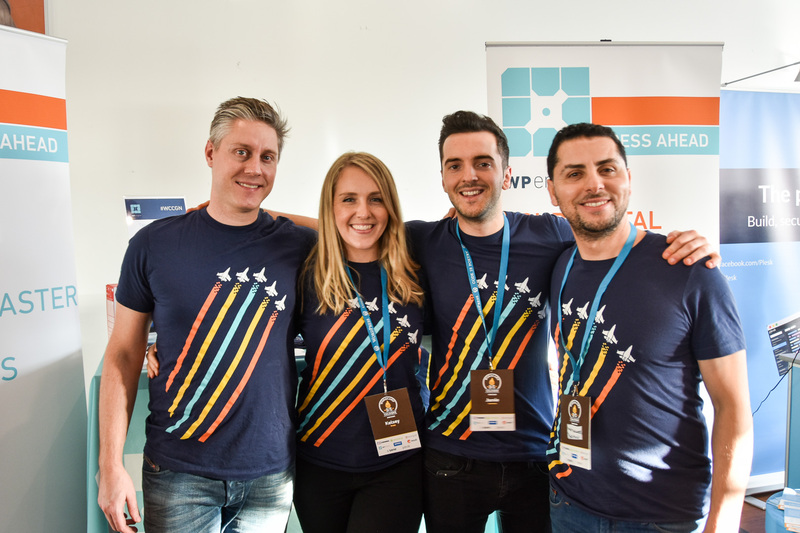 I was one of this year’s co-organizers, putting heart and effort into it for weeks. Colleagues Patricia, Jan and Jörg couldn’t wait to be in the beautiful city, that welcomed us with wonderful weather. 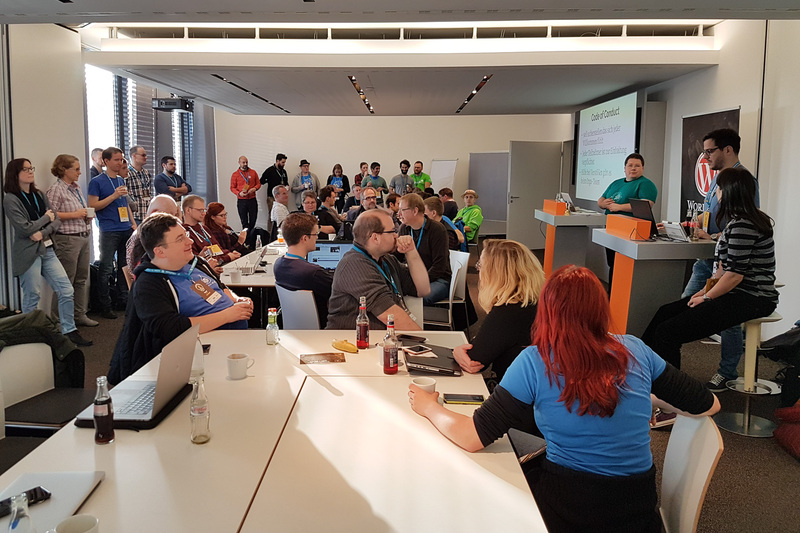 Before the actual WordCamp event, we held a WordPress Contributor Day in the stylish Microsoft premises where 80 people contributed to the open-source project. 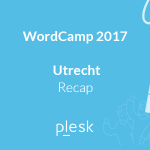 We had WordPress Core, Meta, Accessibility, WP-CLI, Hosting, Polyglots, WordPress TV, Design, and Community. 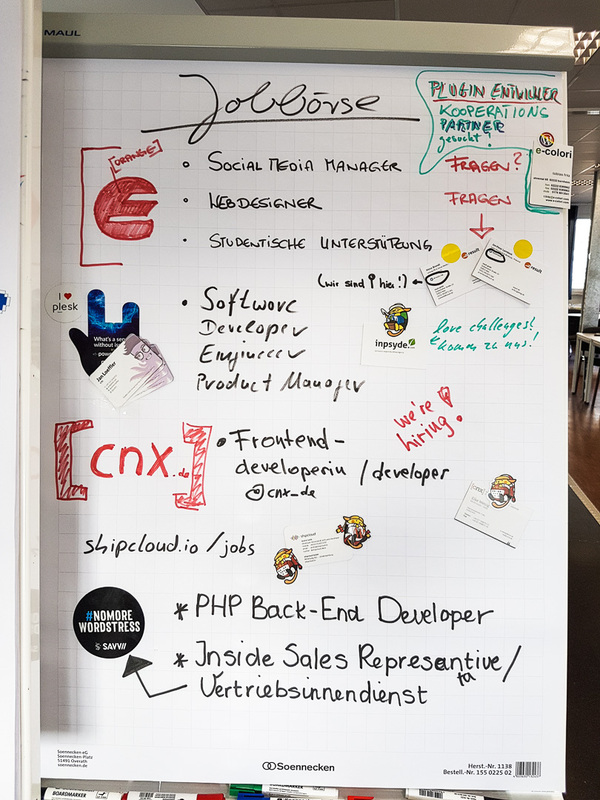 Jan and Jörg joined the Hosting team and connected the community with hosting companies to improve WordPress hosting. Amidst organizer duties, I also took part in discussions and Q&A at the Community table. 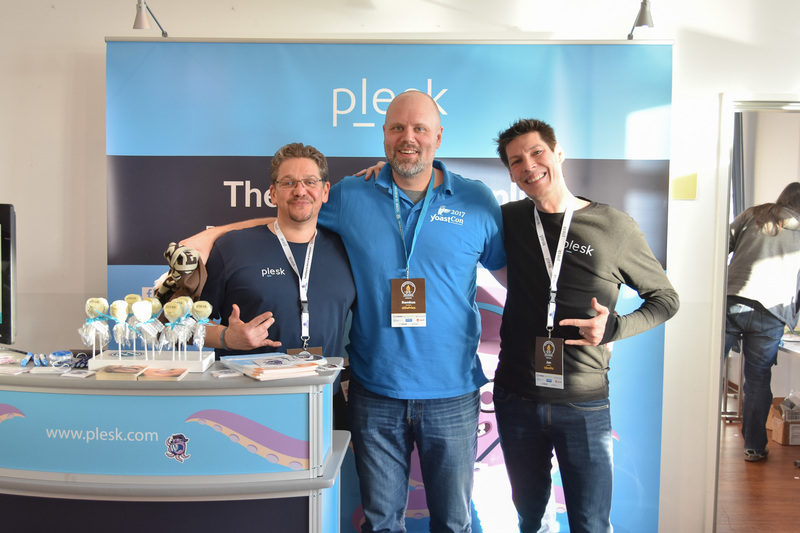 Saturday early morning, we set up our brand-new Plesk booth and arranged numerous giveaways. 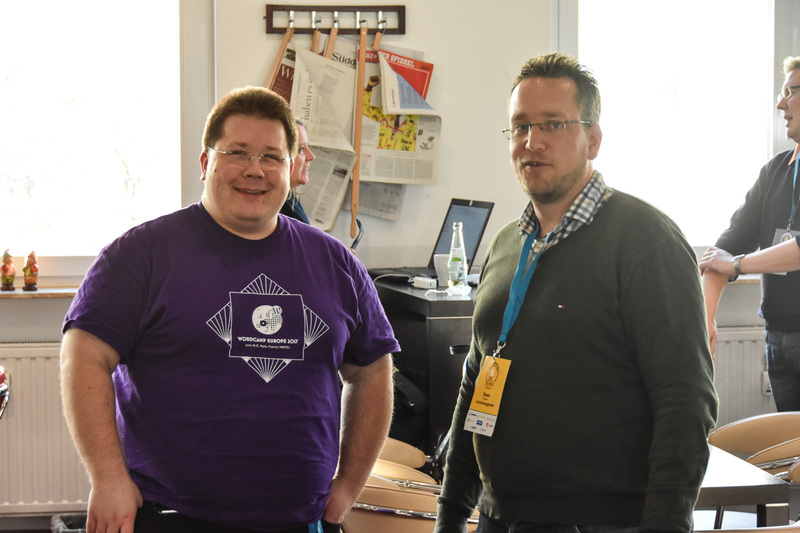 I was honored to co-host with Marc Nilius, this year’s lead-organizer. 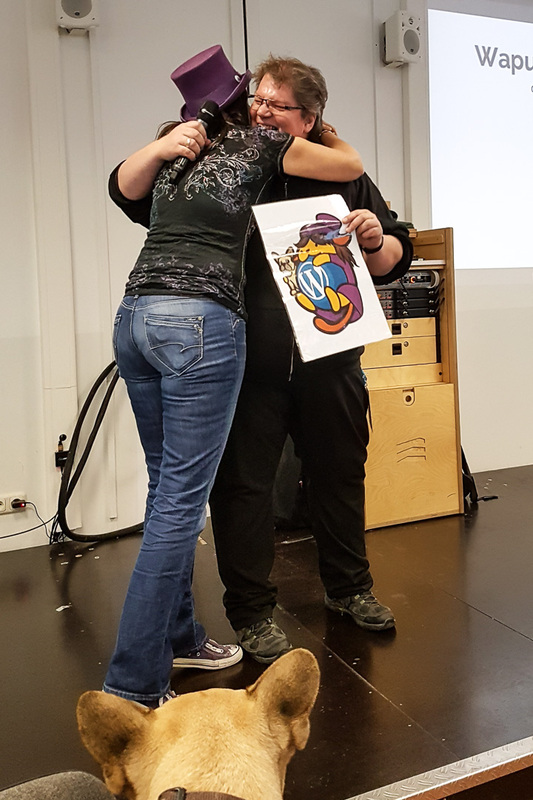 The most special and emotional moment was when the community surprised me with a personalized community Wapuu. I almost burst into tears. 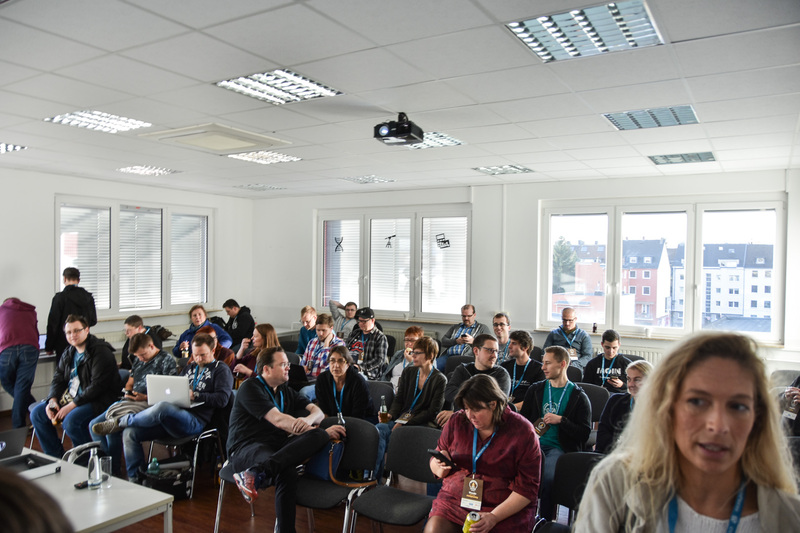 This year’s WordCamp Cologne was a BarCamp – no session or speaker in advance, but attendees interested in giving a talk presented their topic in under a minute. 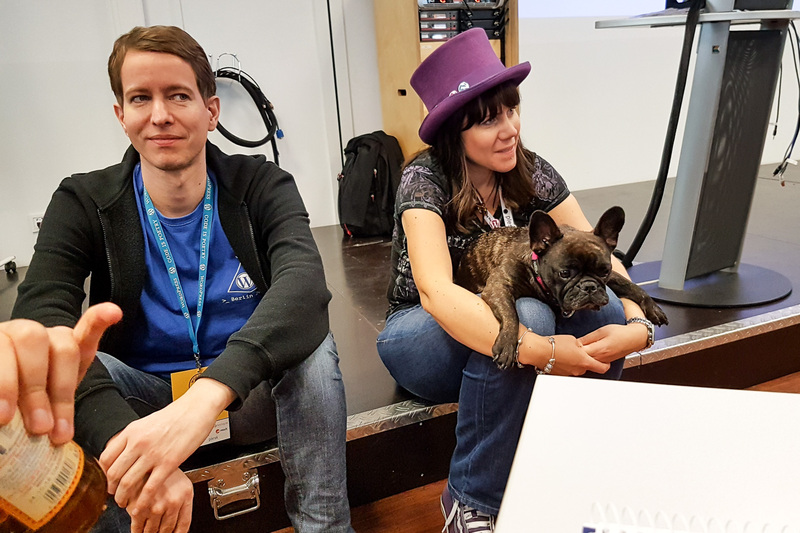 If the audience was interested, the session got scheduled. 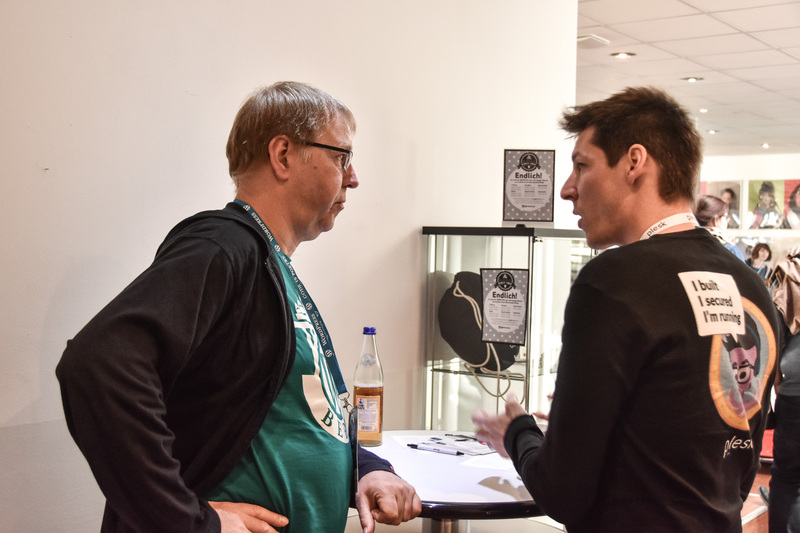 Plesk CTO Jan Löffler pitched two sessions and both got a slot. 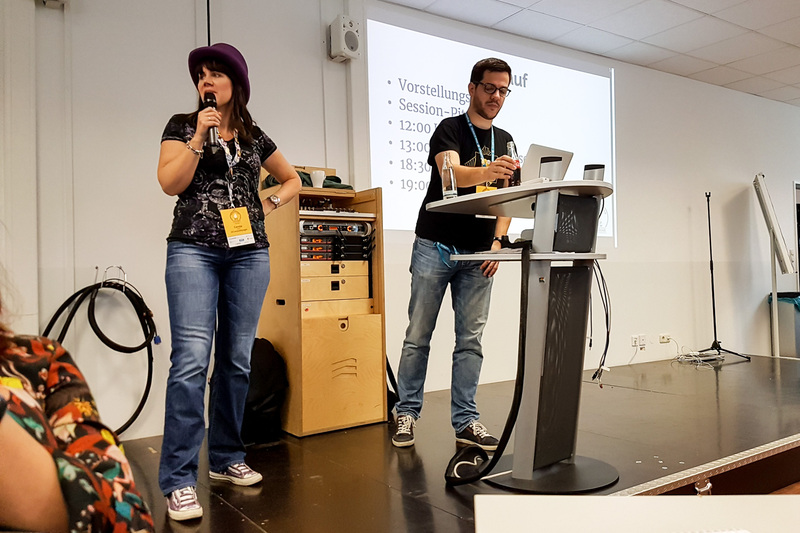 See the slides (German) for WordPress auf Speedand Web Trends in Zahlen und wie sich Hosting verändert. 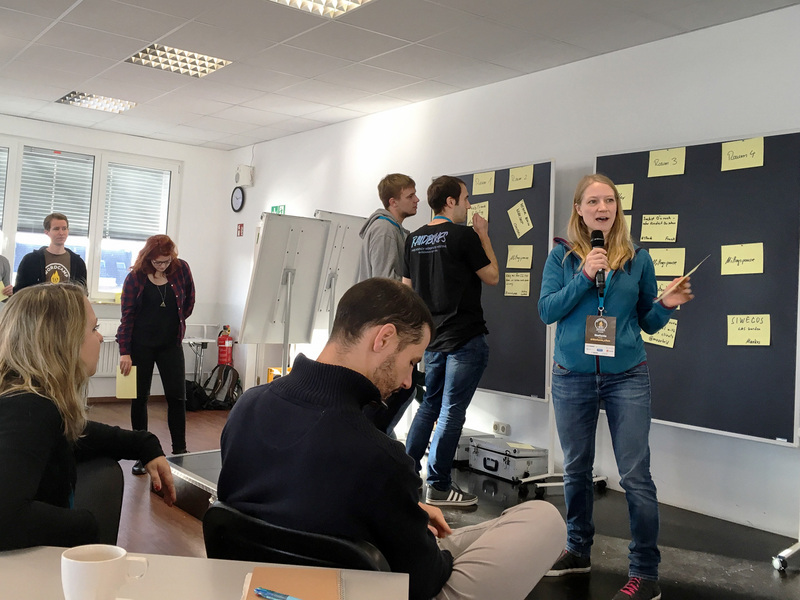 Altogether, 39 sessions were scheduled on website performance, design, accessibility, web security, Gutenberg, web development, mental health, digital law and digital nomad lifestyle. 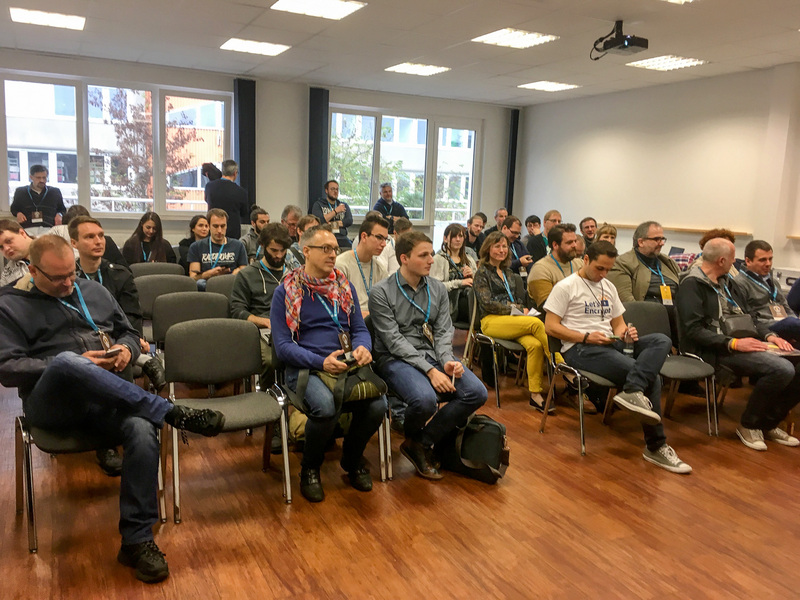 The attendees were super interested in WordPress Toolkit demos. 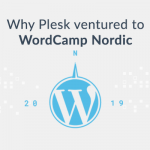 They asked how they can use Plesk for their private or business purpose. 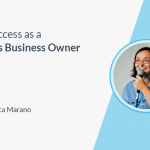 If you missed this part, don’t worry, find out more by clicking below or get in touch with our experts. 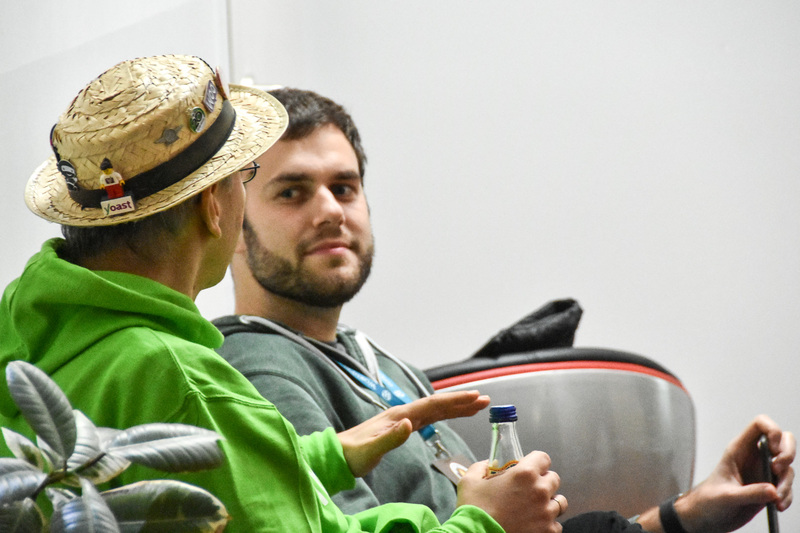 Feedback from the community was more than valuable for us – a company always trying to improve. 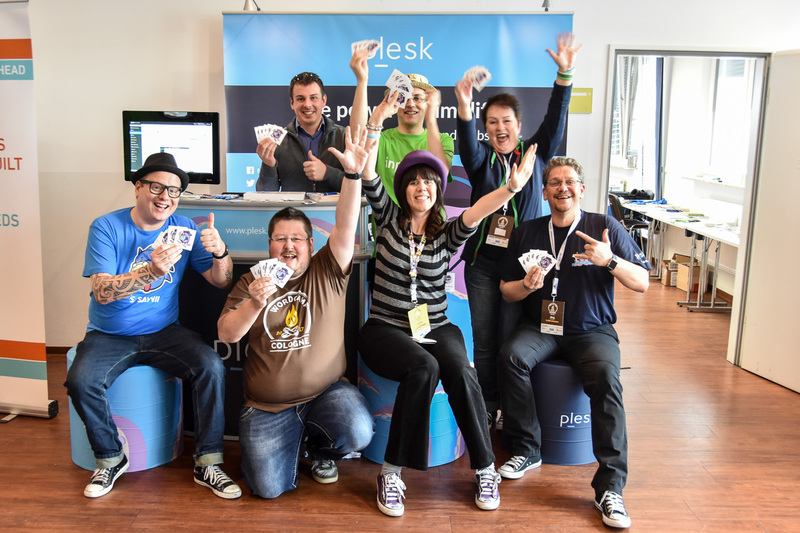 They also loved that we offer free courses on how to use Plesk in Plesk University. Take some time to check them out. 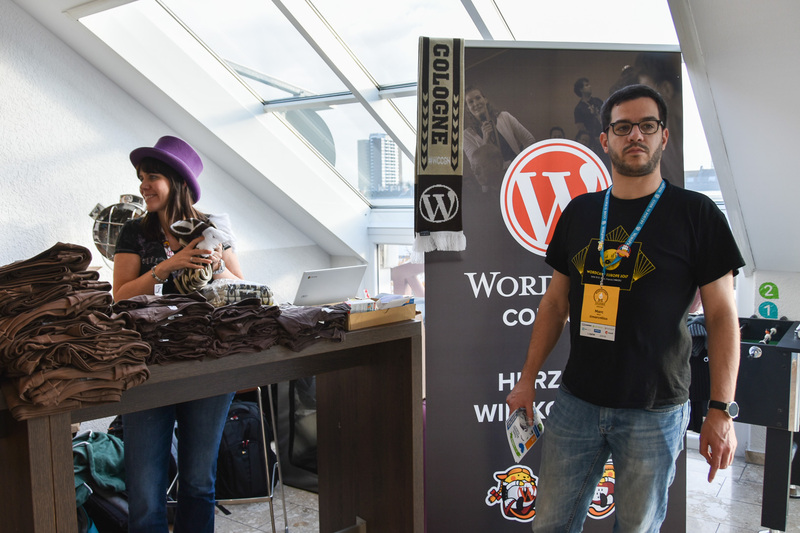 It wouldn’t be a WordCamp without swag. 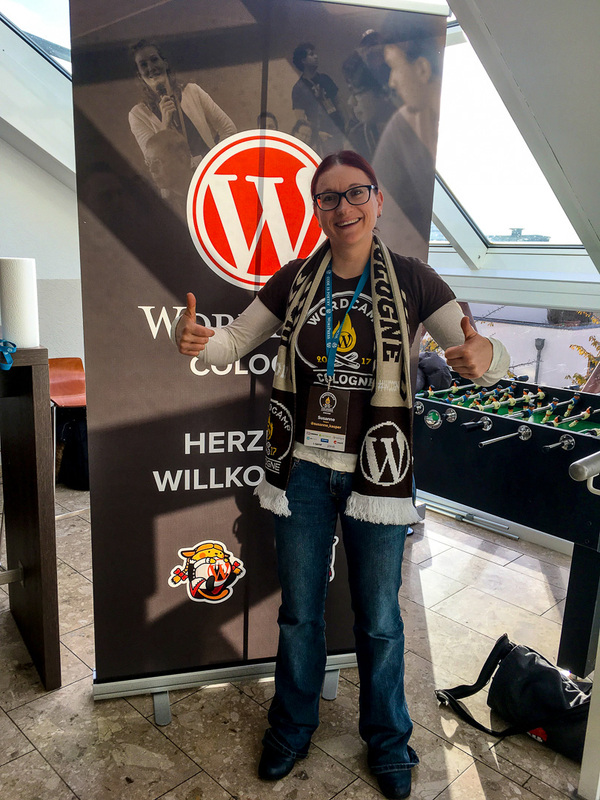 WordCamp Cologne gave attendees a t-shirt and branded scarf in soccer-fan-style. We couldn’t keep a straight face – it was just so much fun. 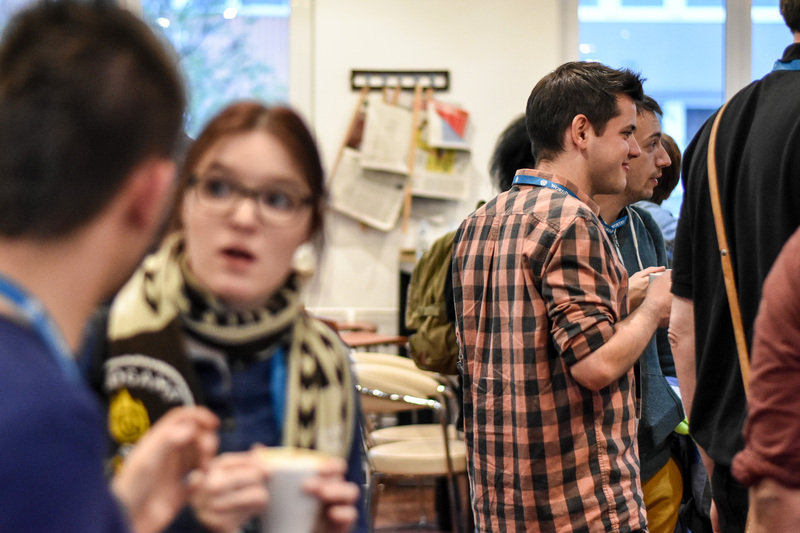 Of course, we also joined the social events with the community while discovering the lovely German and “Kölsch” culture. 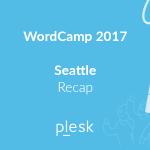 Plesk gets its own official Wapuu! We’re still looking for a cool name that will fit this little guy. Help us out by leaving your suggestions in the comments below. While overwhelmed by the positive feedback, I need to mention the 9 organizers, 16 volunteers, 42 sponsors & community-sponsors who made this event possible. It was hard to leave. But we went home with lots of inspiration and positive energy. Here are some special moments captured below. Can you spot yourself?